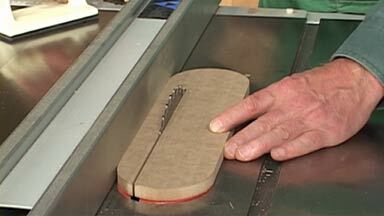 A factory blade guard assembly with a built-in splitter and pawls is designed to keep a workpiece from kicking back. But, there are times when you may not be able to use the factory blade guard (as when ripping really narrow pieces). In that case, it makes sense to use a splitter that is part of a zero clearance insert. The splitter is sized to match the thickness of the saw blade, preventing the kerf from closing up and pinching the back of the blade.